OK. Let's see. I have to stop and think for a moment about where I am in the scheme of spinning the Shetland fleece samples that Cathy sent me. What I do know is that this one, Angie, is the second to the last of the...... let's see, seven original samples she sent me. This one is a dual coated lamb fleece. A thorough washing revealed a lovely white with a lustrous outer coat. There were actually two types of staples in the sample, the dual coated ones being triangular in shape, and the shorter ones being more rectangular. I started out with 1.8 ounces of raw fleece, and lost about 1/2 ounce of lanolin and dirt after washing. The fiber length ranged from 3 to 6 inches, the shorter parts being downier. The crimp measured 2 to 3 per inch. The color was consistent throughout. It was sound, including the tips. I prepared the fleece as I have the others, with my drum carder. I spun it the same way I've spun all the others as well, on my Kromski Minstrel with the 8.5 to 1 ratio spinning whorl. After a little sampling, I settled on singles at 30 WPIs. This gave me a 2-ply yarn of 16 WPI, which is my target size. 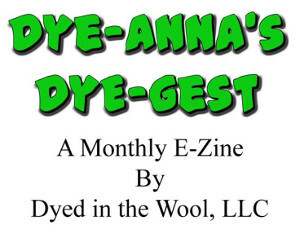 My yardage is almost 76 yards for 1.2 ounces of washed fleece. As you can see from the scan at the left, it is the most inconsistent Shetland yarn I've spun so far. This was because I found myself absent mindedly spinning finer and finer. At one point I measured my singles at 37 wraps per inch. Of course, when a thin single is plied with a thicker single, the result is more textured. It's a technique used for spinning some designer yarns, but this wasn't supposed to be that! So now I have one sample left to spin from the original seven. It is also white. I also have samples from a second batch of Shetland fleeces, also from Cathy. These are white, black, and fawn. I've decided that some of the white will have to be dyed. I'm thinking about a light blue at the moment, but I'm open. Lovely shetland yarn you ended up with! Did you separate the dual coat from the shorter staples first before you carded? And did you spin both, or just the outer coat? I would love to see your singles... and the light blue sound like it would be very pretty. Annie, I agree with you. I realize that once this yarn is knitted into a Fair Isle pattern, the texture really won't matter because it won't show. Cyndy, I forgot to mention about the processing. Yes, I did drum card the 2 coats together. The Shetland lamb is so soft that the outer coat didn't make the final yarn harsh at all. 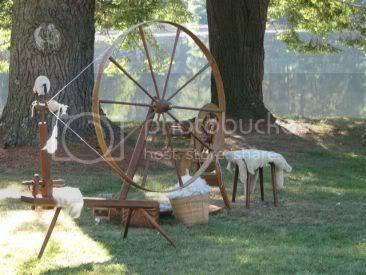 Lovely spinning - and just like a lamb - bouncing all over. :-) Which makes me wonder if the sheep's personality shines thru it's fleece. That would be the reason for some of my inconsistent spinning. I see you are taking a break........ I haven't spun in quite a while and miss it. Have fun!